This Chinese table caddy has a spot for menus, sauce, salt and pepper, and other packaged condiments. It has a Chinese design which will add an Asian flair to any table. This Chinese Table Caddy offers a positive way to show your merchandise. 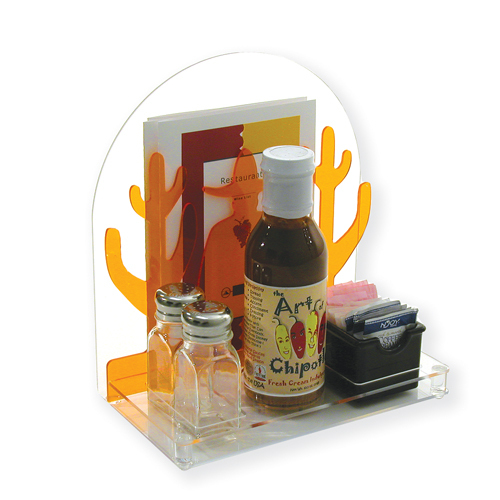 Designed with clear Acrylic, this Countertop Food Service Dispenser is an exceptional value. Buy Chinese Table Caddy now - Use our convenient shopping cart or give us a call and place your order with a knowledgeable service representative today!